With the Tennessee Titans drafting everyone’s favorite Hawaiian quarterback, many Ducks’ fans were disappointed that Chip Kelly didn’t succeed in trading up for Marcus Mariota. Some are simply annoyed they didn’t get their favorite player and coach on the same NFL team, while others are worried for Mariota’s future by his going to a bad team like the Titans. The thing is, the Titans aren’t that bad. While they don’t have the best offensive line, they do have some very good pieces on the line. 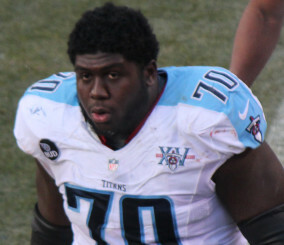 Young players Chance Warmack and Taylor Lewan give the Titans a lot of upside and room to improve in the coming years. Along with these two, the Titans also drafted Utah tackle Jeremiah Poutasi, a mammoth tackle who projects well. While these players give the offensive line a brighter future in the coming years, veteran guard Andy Levitre gives them a strong presence on the inside right now. The Titans also have a surprisingly strong corps of wide receivers, having added a trio of veteran receivers in Harry Douglas, Hakeem Nicks, and Jacoby Ford. Along with these three players, the Titans also have up-and-coming speedster Kendall Wright, who has really only struggled because of a lack of good quarterback play. 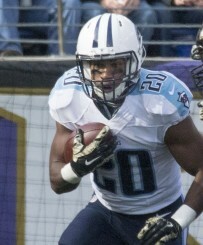 Young speedster Bishop Sankey could really benefit from Marcus Mariota being a Titan. To go with their strong corps of receivers, the Titans have a versatile tandem of tight ends in Anthony Fasano and Delanie Walker. Both Fasano and Walker can make plays in the passing game and make the kind of blocks that are needed in the run game. The one glaring weakness that the Titans have is with their run game, averaging under 100 yards a game last year. This is largely because the Titans last year had no real passing game to keep the defense honest. Along with this, the tandem of runners they used consisted of the washed-up Shonn Greene and an unprepared rookie in Bishop Sankey. Ideally, the Titans need Sankey to step up in his second year and become the dynamic playmaker that he has the potential to be. What Mariota will bring to the Titans in the run game is making the defense play honest, both by adding a much-improved passing game and his threat as a runner. However, Mariota won’t have to run very often to have a huge impact on the run game, as the threat of his running will be enough to open up lanes for Sankey to burst through. 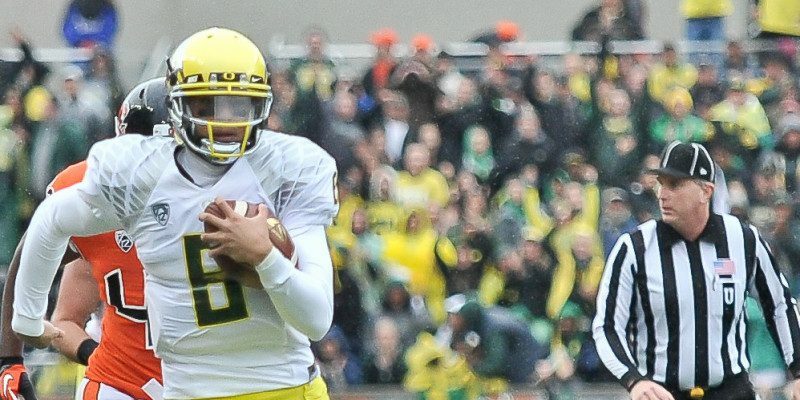 I certainly can’t fault Ducks’ fans for being disappointed Marcus Mariota did not wind up in Philadelphia with Chip Kelly, but fans of Mariota should be excited as he is going to a team that is surprisingly talented and very well-coached. I wouldn’t call the Titans a playoff contender just yet, but with Marcus Mariota in house, the sky is the limit for the Tennessee Titans.